The app economy has been exploding for the past few years and a new report has claimed that Q4 of 2017 recorded nearly 27 million new app downloads between the App Store and Google Play Store. 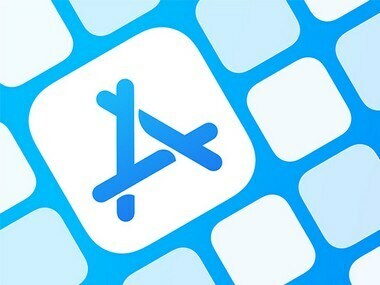 The report, by App Annie, claims that there has been a seven percent growth in app downloads in the same time-period as last year. 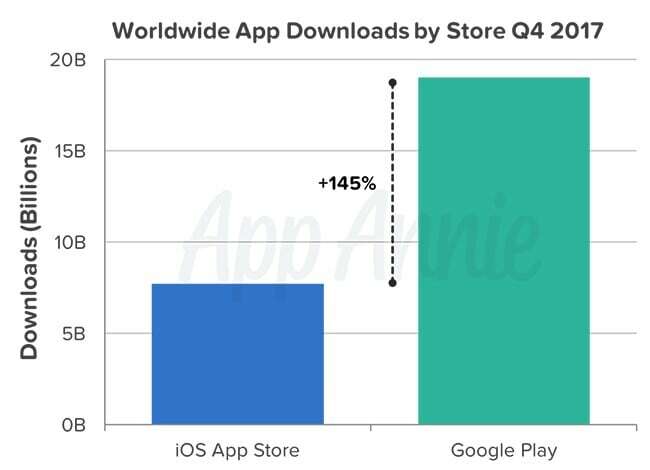 More stunning is the fact that Google Play Store has now recorded 19 billion global app downloads till Q4 2017, exceeding the Apple App Store downloads by 145 percent. The report says that the statistics only include new downloads and not re-installs or updates, which makes Google's lead much more impressive. 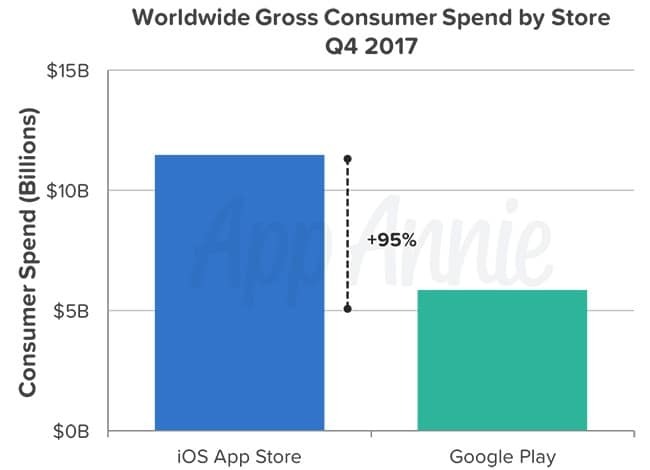 However, the report claims that even though the App Store was outdone in terms of downloads, the revenue generated in Q4 2017 was 95 percent more than Play Store, at over $11.5 billion. App Store's revenue was driven by in-app subscriptions for video streaming apps, while for the Play Store, it was in-app subscriptions for productivity apps. The report says that this increase in revenue on the Play Store could be attributed to the introduction of in-app subscriptions for storage in Google Drive. Emerging markets such as India, Indonesia and Brazil saw the highest growth rate in app downloads, so much so that, according to the report, India surpassed the US in total app downloads (App Store and Play Store combined) in 2017. The US had the strongest year-over-year growth in consumer spend market for both the App Store and Play Store. This was followed by South Korea for Play Store and Taiwan for App Store in the second position. Germany was in the third spot in both the categories.